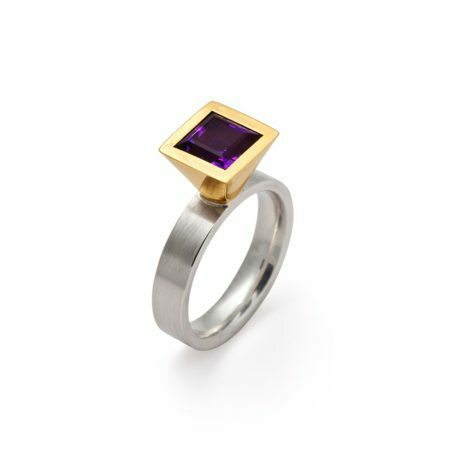 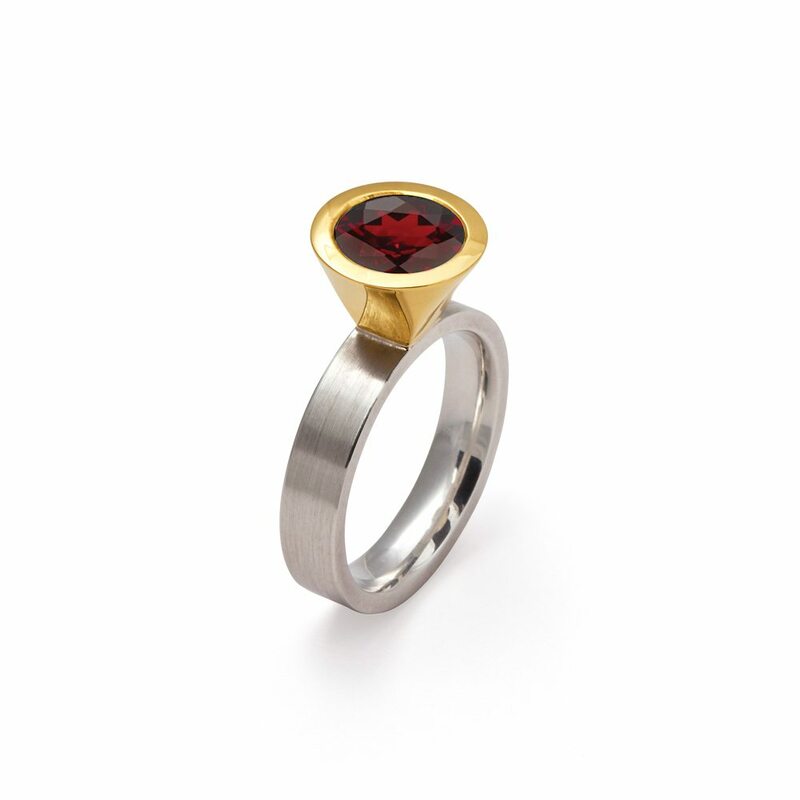 The rich colours of purple and yellow gold go hand in hand in this Cocktail ring, creating a rich, deep, warm glow. The high contemporary bezel setting sits elegantly on a matte finish silver band – just glorious! 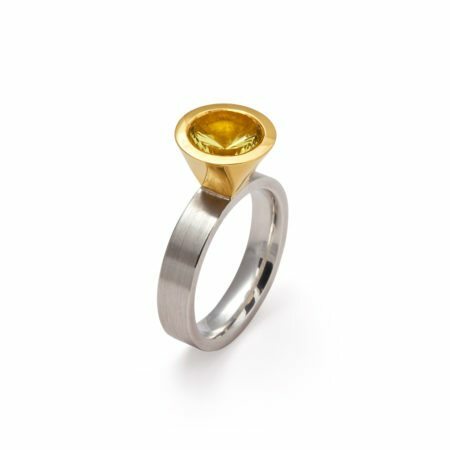 Designed by Ann Chapman and made to size in our in-house workshop, we have a wide range of colour options. 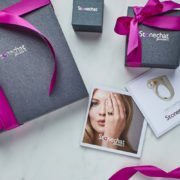 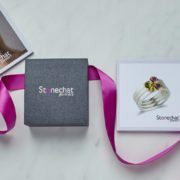 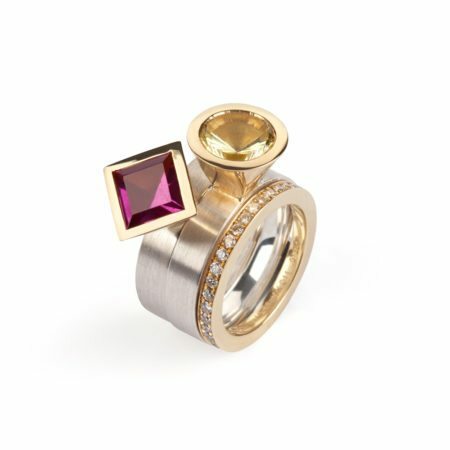 Cocktails rings are also available with princess cut (square) gemstones – you’re spoilt for choice!